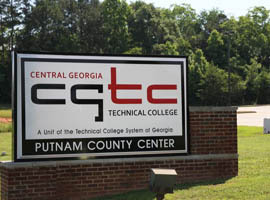 Located in the center of Georgia, Putnam County draws from a labor pool of over 67,775 employees from the middle Georgia area and boasts a very diverse economic mix ranging from manufacturing to tourism-based businesses to agriculture to technology. 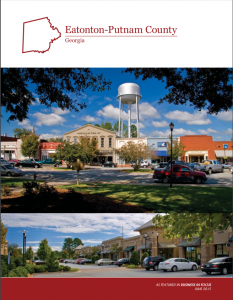 The Downtown Eatonton economy is largely tourism-based with the driving force being built on arts, history and heritage. Meanwhile, our new Rock Eagle Technology Park has started construction for a new bio-technology business. The Georgia Work Ready Certificate is a portable credential easily and universally understood and valued by employers, educators, and recipients. The certificate shows that an individual has certain fundamental skills needed in the workplace. The WorkKeys assessment system is used to determine those skill levels. As a designated Work Ready Community, our workforce sees the value in being certified, completing gap training, and retesting to improve scores. Putnam residents are “Ready to Work” by proudly presenting their Silver, Gold or Platinum Work Ready certificate. According to The Bureau of National Affairs, just 2.9 percent of Georgia’s private manufacturing workers are unionized, compared to 9.6 percent for the nation overall. Georgia is an employment-at-will, right to work state. Georgia recognizes the doctrine of employment-at-will. Employment-at-will means that in the absence of a written contract of employment for a defined duration, an employer can terminate an employee for good cause, bad cause or no cause at all. Workers will not be forced to join a union by employers or other union members. Employees working for a company with a union presence may decide for themselves whether or not to join a union. Workers cannot be forced to join a strike. Interference with an employer’s lawful business through violence or mass picketing will not be allowed.